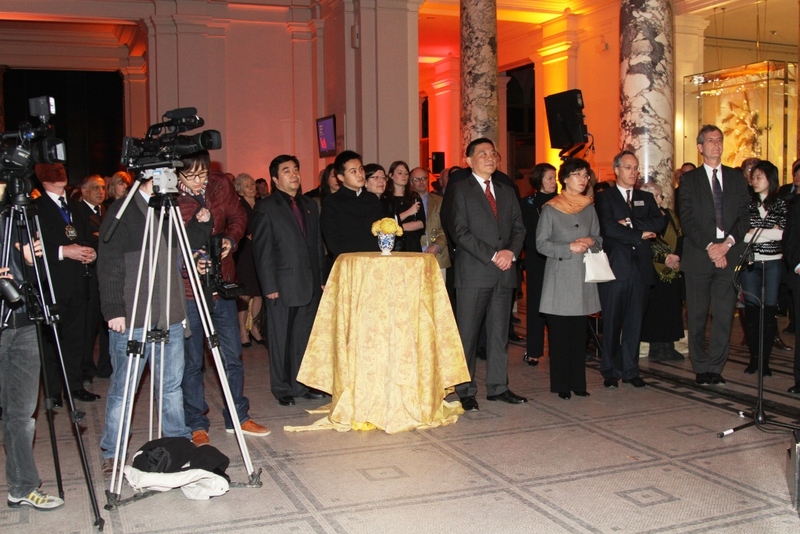 It gives me great pleasure to attend the opening of the exhibition Imperial Chinese Robes from the Forbidden City. 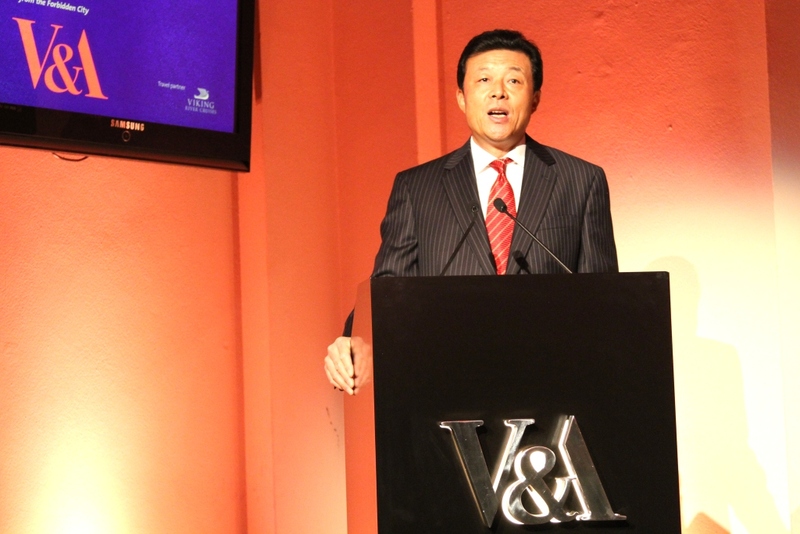 Let me offer my warm congratulations to the Palace Museum and the Victoria & Albert Museum for co-hosting this event. This exhibition gives the British public a rare view of royal robes from Ming and Qing Dynasties, which are part of the treasured collections of the Palace Museum. The shiny silk brocade, exquisite embroidery and elaborate craftsmanship of these robes obviously put them at the very top in elegance and artistry among the imperial robes in Chinese history. Garments are cultural symbols and give shape to our thought and creativity. They bring us artistic enjoyment and provide an opportunity to learn more about China. First, this exhibition tells much deeper stories about Chinese culture. In the eyes of ancient Chinese, life was all about “clothing, food, housing and travels”. Clothing came first. What people wore at different times in history directly reflects the level of development, social system, religious belief, cultural traditions and aesthetic values of that period. In short, they offer both material and spiritual clues to Chinese life. It is a lesson about Chinese history that one can wear! 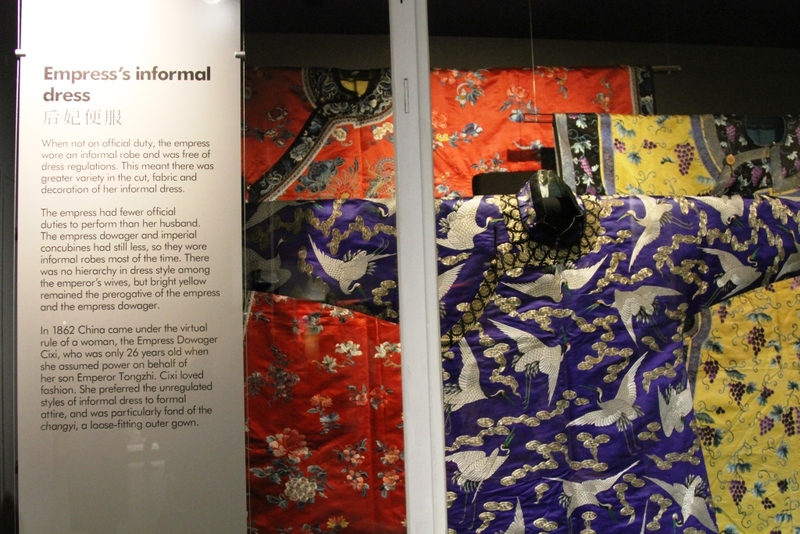 The Qing and Ming imperial robes on display not only speak to the talent and ingenuity of the Chinese people in the 14th to 19th centuries, but also shed much light on the social life and etiquette of that period. In this sense, today’s exhibition is a window on traditional Chinese culture. Second, this exhibition provides a historical perspective on the development of China. Garments evolve with the times. The enormous political, economic and social changes in China in the past centuries were also reflected in the changes in people’s clothing. 30 years ago, you saw dark blue wherever you went in China, but now there is an explosion of colours in the streets of China. I hope that when you get a sense of an ancient China and its cultural splendor from this exhibition, you will also feel a modern China in pursuit of progress and prosperity. Third, this exhibition helps with mutual understanding between China and the UK. This event is yet another example of close cooperation between first-class museums of the two countries. It comes close on the heels of successes of The Three Emperors and the First Emperor: China’s Terracotta Army exhibitions held in London in the past few years. Culture is a bridge that reaches into the hearts of people and brings them closer. Our differences in historic values and social system should not stand in the way of cultural exchanges. Just as an ancient Chinese sage said, “harmony creates many, while uniformity none”. Cultural diversity can draw us closer and encourage greater effort at mutual understanding. The dynamic cultural exchanges between our two countries are a good example of how mutual learning between different cultures leads to common development and prosperity. China-UK relations now stand at a new starting point and with new opportunities. I sincerely hope that the Chinese and British cultural communities will work together for more robust cultural exchanges and cooperation, and deepen mutual understanding and friendship between our peoples. This will make a positive contribution to a prosperous China-UK relationship. I wish the Imperial Chinese Robes exhibition a great success.